Whins and Weather, the new CD by Beki Hemingway and her husband, guitarist, and co-writer Randy Kerkman covers a lot of ground--Americana, gospel, folk, and even a bit of old fashioned pop, woven together seamlessly on this, Beki's sixth release. 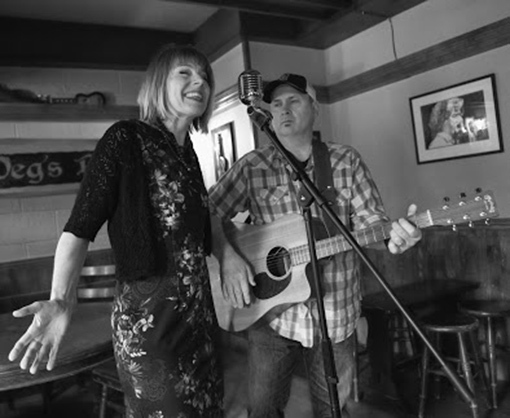 Based in County Wexford, Ireland, with stops in Chicago, Nashville, and Denver along the way, it has been said that Beki writes and sings some of the "best songs you've never heard." Her long and varied career has found her singing in several bands, including comical punk-rockers This Train, as well as singing live and studio backup vocals on everything from industrial to inspirational music, but it's the team of Hemingway with husband/guitarist Kerkman that has yielded the most rewarding results. Currently booking 2018 tour dates in Europe and the USA. Whins and Weather is a book of Psalms. There is doubt and hurt and faith and celebration. If Maria McKee had made the follow up to You Gotta Sin To Get Saved that we all wanted it might have sounded a whole lot like this! "Whins & Weather is not just a good album. It's one of the best albums of the year."